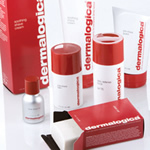 Skin Health is very important when shaving and Dermalogica have developed the 3 Step Shave. The steps are designed to help clean and prepare the skin prior to shaving, to protect during shaving and restore the skin after shaving. They have developed a range of 8 products that are designed to be used during shaving to help protect your skin and promote better skin health. Clean Bar is a soap-free bar that removes impurities and breaks down surface oils without stripping skin of its natural protective layers. Daily Clean Scrub is an exfoliating cleanser with a beard-lifting lather that is designed to help remove surface debris for clean-looking skin. Pre-Shave Guard when applied under Soothing Shave Cream, maximises beard softening while shielding and preparing skin to help minimise razor burn and bumps. Help cushion and protect the skin during shaving and reduce razor drag and burn for a clean and even shave. Close Shave Oil creates an instant cushion between your skin and the razor for an ultra-smooth shave. The clear formula is ideal for those who need visibility when grooming around a goatee or sideburns. It is suitable for all skin conditions. Invigorating Shave Gel will help achieve a barber-close shave with maximum comfort, while at the same time it will soothe, cool and soften the skin. It is suitable for all skin conditions especially normal/oily and oily skin types. Soothing Shave cream is an ultra-lubricating shave cream that calms, soothes and helps prevent irritation brought on by shaving. It is suitable for all skin conditions especially normal/dry, dry and sensitive skin types. Restore and refresh your skin after shaving to help reduce discomfort and restore moisture and protect the skin throughout the day from UV damage. Post Shave Balm is much more than an after-shave. It will provide a refreshing burst of hydration as well as a cooling treatment to help with any discomfort, redness and ingrown hairs. Daily Defence Block is a great way to end the 3 Step Shave. It is a multi-tasking, light-weight daytime lotion that defends against skin ageing by preventing sun damage. As always with all Dermalogica Products it is a great idea to try the products first before committing to the full size and the best way to do this is with the Dermalogica Shave System Kit.